Spread the love around. 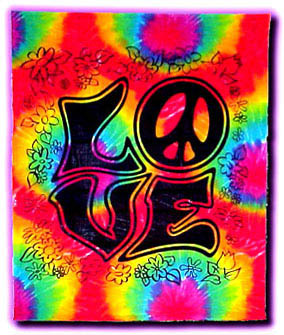 This tie dye wall hanging tapestry would look great on your wall. It's a silk screen design tapestry that is a giant 40" x 45". This tapestry is soo beautiful, I thought it was going to be smaller but its just the perfect size, the colors are soo vibrant and beautiful, it brings more life to my room, I highly recommend! !